2018 was anything but normal with its new tariffs, price declines, and significant tax changes. While you can't control the uncertainties resulting from these changes, you can take steps to understand their effects and adjust your year-end tax planning. With your December pre-tax planning meeting right around the corner, it is time to get your Quicken file in order. These tips can help you combat two frustrating problems common to making rapid-fire, catch-up journal entries. Do We Need More Futures Contracts in Commodity Markets? In light of the current global trade disputes, the CME Group, the world’s largest futures exchange, is reported to be considering launching a futures contract based on Brazilian soybeans. What could that mean for the market? Schedule free, one-on-one ag law or ag financial consultations at one of these four sites in December. 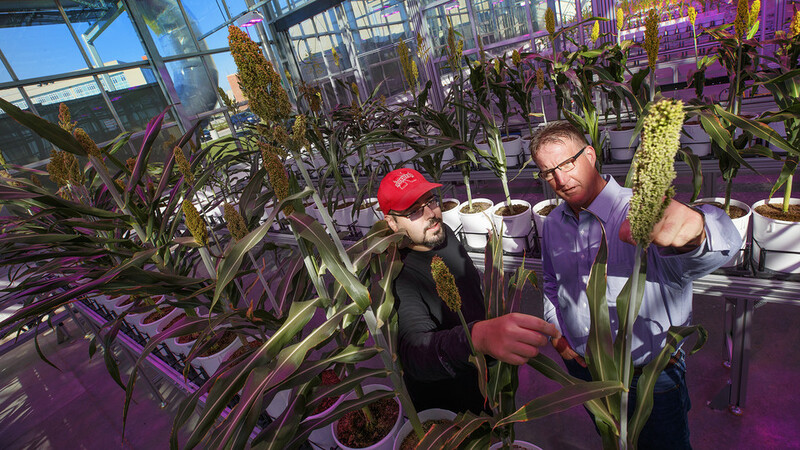 Today’s agricultural researchers are turning to plant genomics to find solutions for growing crops more sustainably with fewer inputs, including nitrogen fertilizer, without sacrificing yield or profit. What are soybean producers in the top 40% of profitability doing differently than those in the bottom 30%? Get practical tips and techniques to focus on profitability at the Dec. 13 Soybean Day and Machinery Expo in Wahoo. Copies of the 2018 Nebraska Extension Guide for Weed, Disease, and Insect Management in Nebraska are being made available free to make room for the 2019 Guide. Here's how to order yours. How does what you paid for harvest labor compare with what others in the Northern Plains Region paid during the October survey week. For 2018, the average was $15.49, up 7% from 2017. Laborers worked an average of 47.4 hours that week.